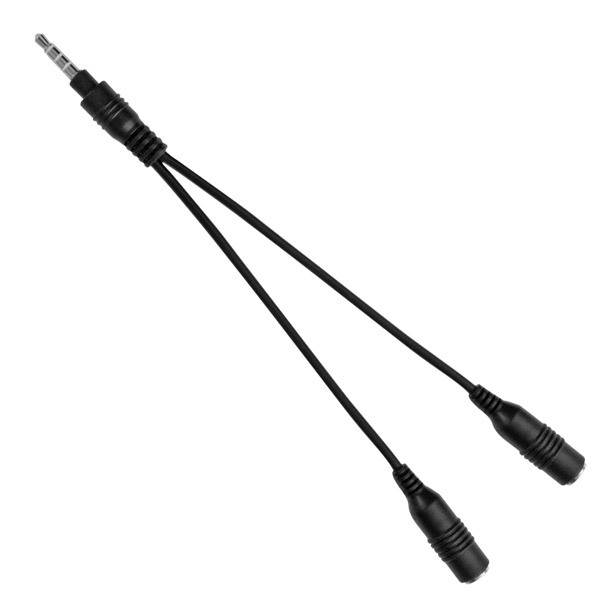 Description: RadTech's ProCable 3.5mm, 4-conductor Y-splitter cable allows the use of 2 headsets with one device. 4-conductor design fully supports microphone and device control buttons on all connected headsets. Great for sharing calls or audio with a second person. Small diameter male connector fits all protective case openings. Rugged construction ensures years of reliable use.